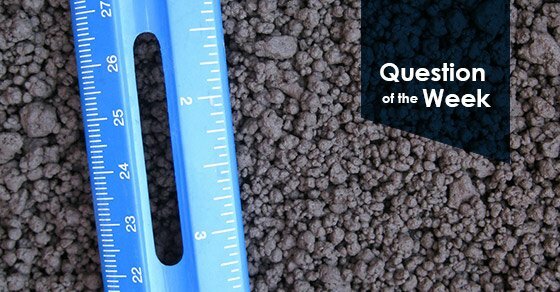 Question of the Week: How does Chicken Manure Granulation Work? FEECO’s chicken manure granulation method begins with pre-conditioning. Raw manure is typically too wet or clumpy to use as a uniform feedstock; it must first be pre-conditioned into a workable feedstock via composting or thermal treatment (or drying). In either scenario, it is likely that the material would need to be ground prior to granulation to create a uniform particle size distribution, and reduce particle size for optimal agglomerate formation. Once the uniform feedstock is created, granulation can begin. Feedstock and binder are first fed into a mixer, most often a pin mixer, at a continuous rate. When the seed pellets are formed, they exit the mixer and move on to the disc pelletizer. Here, a liquid solution is sprayed onto the seed pellets, and they continue to pick up more fines as they rotate on the pelletizer. When the granules reach their desired size, they are transported via a conveyor to a rotary dryer. Flights, or material lifters, pick up the granules and drop them through the gas stream to maximize heat transfer efficiency, while also further rounding and polishing the material through the tumbling action of the drum. From the dryer, granules can either move on to screening or cooling. Cooling is beneficial to granules that will be packaged and stored immediately, as it reduces the potential for caking. Upon screening, over-size and under-size granules are crushed and re-introduced to the beginning of the process as recycle. On-size granules are ready for packaging, transport or storage. For more in-depth information, download our Organics Granulation Handbook, or contact a FEECO expert today!